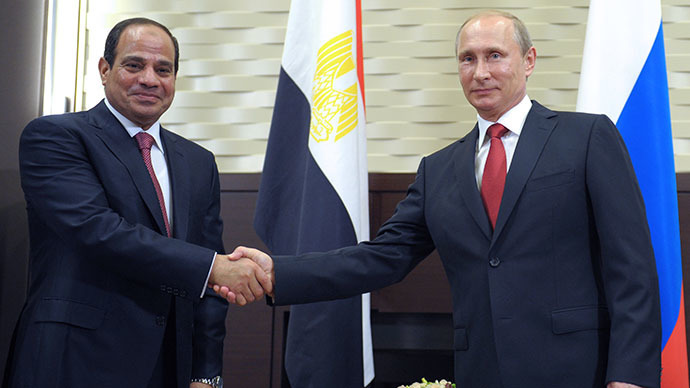 Egypt and the countries of the Customs Union are looking into creating a free trade zone, Russian President Vladimir Putin said after meeting with his Egyptian counterpart Abdel Fattah al-Sisi at the Black Sea city of Sochi. "An important agreement was reached to establish cooperation between Egypt and the Customs Union [of Russia, Belarus and Kazakhstan]," said the Russian President. "And now we are looking at a possibility of creating a free trade zone." He noted that this subject had been discussed at a meeting of the council of the Common Economic Space on July 7. The two presidents also agreed upon the creation of a Russian industrial zone in Egypt, which will be part of a new Suez Canal project. "Our talks have opened great prospects in this area. I hope that the creation of the Russian industrial zone in Egypt will become a component that will supplement the new Suez Canal project, which Egypt presented last week," Sisi said. 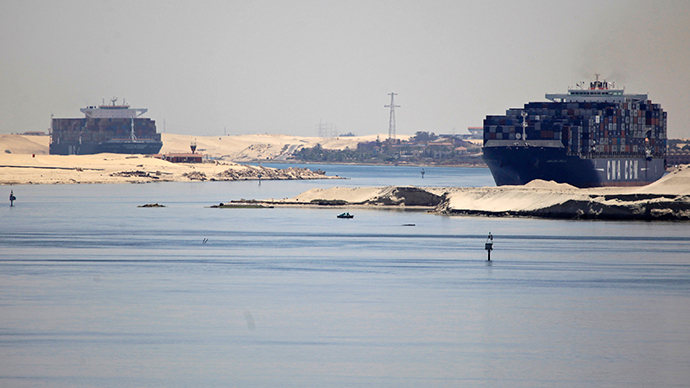 Egypt launched a Suez Canal development project worth $4 billion earlier in August. The project envisages digging a new canal parallel to the original built 145 years ago with the aim of speeding up traffic along the existing waterway and boosting the country's economy. Amid Moscow’s full ban of EU, US, Australian, Canadian, and Norwegian food exports to Russia, Egypt said it is ready to boost agricultural deliveries to Russia by 30 percent, Putin said. Moscow imposed sanctions on August 7 for one year in response to Western restrictions imposed on Russia over the Ukraine crisis. An increase of deliveries of citrus fruits, potatoes and onions from Egypt by 30 percent will close half of a possible deficit following Moscow’s ban on the import from some Western countries, said the head of the Ministry of Agriculture of the Russian Federation, Nikolay Fedorov as cited by RIA Novosti. During last year, Egypt’s deliveries of agricultural products to Russia amounted $440 million, meanwhile during the first half of this year, they have already supplied $460 million, said Fedorov. 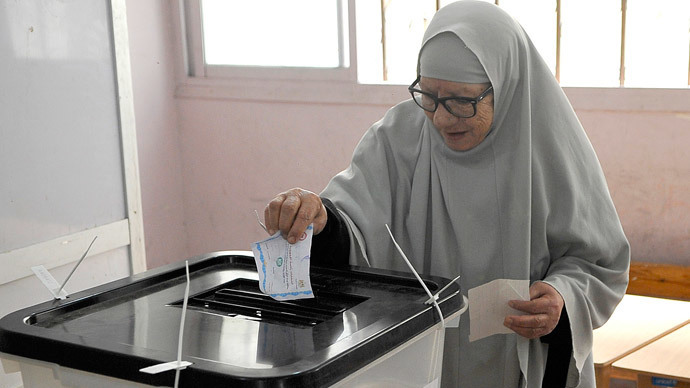 He added that the two leaders also agreed to simplify Egypt's exports of goods to the Russian market, 90 percent of which account for agricultural products. Trade turnover between the two countries in 2013 amounted to $3 billion and more than doubled in the first half of this year to $2.5 billion from $1.2 billion in the same period of last year, according to ITAR-TASS estimates. Egypt buys 25-30 percent of Russia's wheat intended for export, while Russian wheat accounts for about 40 percent of grain consumed by Egypt. Among other bilateral economic spheres Moscow and Cairo are engaged in energy, automobile manufacturing and transport cooperation, also developing the intergovernmental trade, economic and scientific-technical cooperation commission. 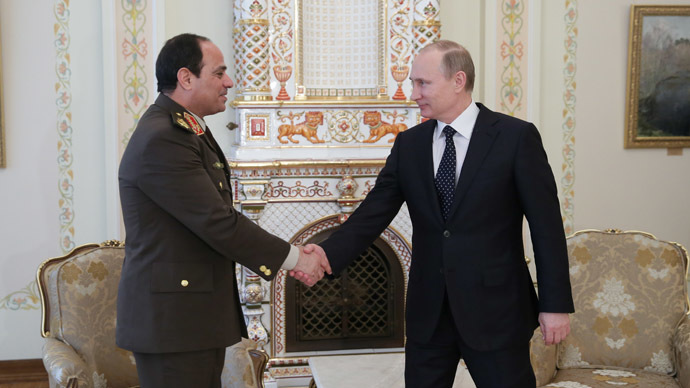 Sisi's first visit to Sochi was the first to a foreign, non-Arab-African state since he was sworn in as president on June 8.